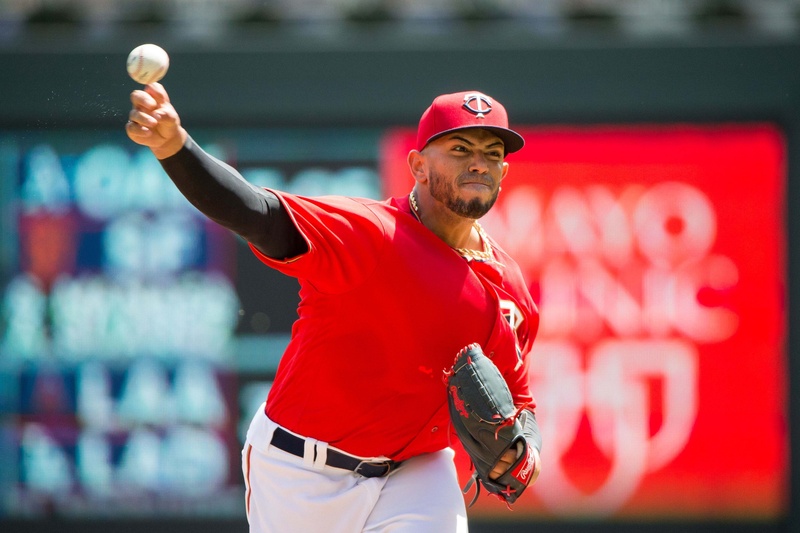 It’s January so, like most of the of the young and inexperienced pitchers, Fernando Romero’s future role with the Minnesota Twins is up in the air. What we do know is that with the signing of Martin Perez, the traditional starting rotation is currently full. There is the possibility that Romero emerges as a primary pitcher -- the guy who follows the opener. There’s also a chance he lands as a late-innings power arm. It could be in Minnesota. Or it could be in Rochester. The Twins acknowledged that Romero is currently a two-pitch pitcher. Technically, he has three types of fastballs (but two movement patterns), a promising slider, and a developing change-up but, functionally, he has a fastball and a slider. Because of this, the front office believes he is better served coming out of the bullpen (or at least in a role that limits his times through the order). 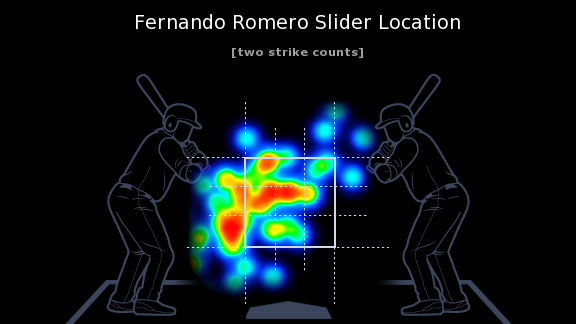 Foundationally, Romero’s fastballs are solid for any pitching role. The mid-90s-plus 4-seam fastball can be elevated while his 2-seam and 1-seam fastballs burrow down-and-in to right-handed hitters. From a pitch sequencing standpoint, this is something to build upon. In the most basic sense, depending on the shape of a pitcher’s breaking pitch, when you have an elevated fastball, it would be best to have a curveball that can tunnel with it before descending out of the path. Likewise, if you have a running sinker, you would like to pair it more with a slider running the other direction, similar to how Kyle Gibson tunnels his. Ideally, a pitcher would have a variety of pitches moving in different directions to keep hitters defending the entire zone but a pair of complementary pitches can carve opponents up. After all, Glen Perkins had an impressive run as the Twins’ closer with a two-pitch repertoire. So what is the shape of Romero’s slider? The greasy techie data says that it is one that has 8.2 inches of break length from release to the plate, which is average from a right-handed pitcher, and a below average break angle of -2.9. 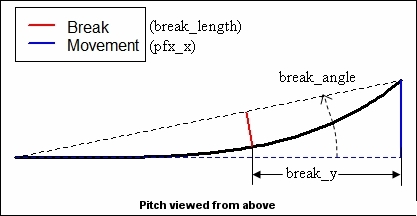 The break angle essentially means which direction and how much the pitch is running. A break angle of 0 means the pitch follows a straight path from the release point to the target with no movement in any direction. If the break angle is positive, it means it is moving toward a right-handed hitter. Negative, toward a lefty. Romero’s -2.9 break angle means it has some movement toward left-handed hitters while the average right-hander’s slider has a break angle of -8.1. So that is the essence of his best secondary pitch. It’s thrown fairly hard (the average slider is thrown at 84 mph and his clocks in at 87), moves slightly away from right-handed hitters, and has about league-average break. Before coming to the big club, Paul Molitor described Romero’s slider as “inconsistent”, which is exactly how it played for the Twins. On occasion, Romero would spin a nasty hoochie woochie but on others, it would back up and sit on a platter for a lucky batter. While Romero’s 36 percent miss rate on the slider is above average (and actually higher than that of the oft-celebrated Ottavino), opponents posted a .723 OPS and an 88 mph exit velocity (higher than the MLB slider average of 85.8 mph) off of it. It is a small sampling, to be sure, but one can look at these numbers as an affirmation of what Molitor suggested. One reason for the middling production was simply location. If you divided the zone in half across the middle, separating upper and lower quadrants, his slider landed in the upper quadrant 40.1 percent of the time (significantly higher than the 25 percent league average). The good news is that hitters did not completely decimate sliders left up - but they didn’t swing through them either (just a 5% swinging strike rate up compared to a 25% one when he kept it down). The location cost him some strikeouts, leaving the ball spinning up in two-strike counts where an otherwise well-executed slider would have been a kill shot. In terms of sequencing, Romero’s slider has actually played well off of the 4-seam fastball, enticing a miss rate of 40 percent and a 39 percent chase rate out of the zone in a fastball-slider pairing. On the other hand, opponents may be able to tell the difference between his slider and sinker as they have a 33 percent miss rate and just a 15 percent chase rate on his slider after being set up by his sinker. If Romero does nothing to tweak his slider heading into the 2019 season, at the very least he should be pairing it more frequently off his fastball. Here is where the new-look, data savvy, tech-reliant Twins organization might be able to optimize Fernando Romero’s stuff. It would seem that Romero is a prime candidate to receive the pitch design treatment — a retooling of his pitches guided by Rapsodo technology and high-speed Edgertronic cameras. Championed by Driveline Baseball, the baseball training company has found some best practices that can identify issues and improve a pitch’s performance based on certain modifications. Before pitch design technology became available, the previous best method to improve this was to have a pitching coach observe bullpens, giving the pitcher cues and provide affirmation when the ball seems to react differently. Then they hope that a player carries whatever feel they had during the pen into the game. Between the diagnostic process and communicating what the problem and solution might be, there could be a long trial-and-error period. Now, however, armed with the new tools, a pitcher and the player development team can isolate the issue, diagnose it and set forth a plan to correct it. The first issue for Romero is consistency, which seems to track back to the moment the pitch leaves his hand. When he releases the slider, it may be that he is letting go too early or with different hand tilts. As researchers at Driveline have demonstrated, even the smallest minutiae such as fingertip contact points can wildly change the spin and flight path. Admittedly, without the high-speed cameras, it is difficult to properly diagnose the issue but from the limited slow-motion release clips, we can see where Romero’s slider needs work. Here is an example of how the slider comes out of Romero’s hand. Romero’s thumb is tucked and his fingers are wrapped around the bottom of the baseball. At this juncture, the thumb is making very minimal contact while his index and middle fingertips are applying pressure. Then he snaps across. On average, he imparts 2,431 rpm worth of spin on his slider, which is about the league average spin rate for right-handed sliders (2,413). Now compare that to Justin Verlander’s slider grip and release (image courtesy of Pitching Ninja) -- the one that Verlander reportedly improved upon while using the Astros’ bevy of Edgertronic cameras to isolate his release point. Notice how his fingers wrap the side with more contact points on his fingers. His release motion also comes down diagonally through the ball. The results were two more inches of run than Romero’s slider as well as 200 more rpms of spin (2,684 average). The added rpms is important because each increase of 100 or more translates into more swing and misses. Of course, not everyone has the same release or arm path. Verlander’s 6-5 frame and over-the-top delivery might preclude Romero from copying his style. Romero’s slider release almost mimics that of Marcus Stroman, whose pitch was the basis for Trevor Bauer’s recent slider rebuild (which is now superb). This may be a template for Romero to unleash hell on an improved pitch. Like Verlander’s, Stroman’s slider grip is held deeper in the hand, which can account for more spin. Stroman’s release has his hand placement similar to Romero’s (underneath rather than like Verlander’s wrapping the side) but unlike Romero’s, Stroman has more contact with the baseball, most noticeably with his thumb (Stroman’s is flush whereas Romero’s makes contact on the side of his). The action differs slightly too as Romero pulls across while Stroman’s hand pulls down. To be fair, Romero’s slider numbers actually outperformed Stroman’s in 2018, with a higher swinging strike percentage, but Stroman’s numbers took a step back on the pitch this last season where he had previously had a swinging strike rate of 21 percent and a chase rate of 41 percent (with 17 and 33 being league average on the pitch). That said, Stroman’s metrics exceed those of Romero, with a 12-inch break and a 2,654 rpm spin rate. If Romero can emulate this pitch consistently, it will give him a significantly improved weapon and be a cornerstone swing-and-miss pitch vital for late innings relief. At the very least, tweaking his slider to give it more consistent depth and tilt could help create a monster in the bullpen. What’s more, if he reinvents his slider and maintains the more cutter-ish version, he might have the necessary three-pitch mix to be a force in the rotation. The Twins have built a player development infrastructure -- both the best tech and the best minds — to address this very issue. Now we will get to see it in action. Really a great article and well written. Thanks. That's the thing about pitchers. They have multiple light switches on the wall and they just got to locate one of them. Corey Kluber didn't just roll out of bed with that nasty breaking pitch. It was something that he developed over time and it saved his career. He went from an also-ran to elite in the blink of an eye. Any pitcher is capable of changing the shape of a pitch or change the velocity of something that wasn't working previously... or... finding something altogether new and therefore changing results and expectations dramatically. Johan Santana didn't just arrive to the professional ranks with that circle-change but the circle-change changed him. Thanks for the insight! Good work! For only having 2 pitches, along with being a rookie, Romero actually fared pretty well in his first year as a big leaguer (especially if you compare it to Berrios’), so why not at least see what he can do before coming to a decision? If anything, I’d rather see him start the year in AAA to work on his change-up because I truly believe that if he develops that into a legitimate pitch the Twins will have another Berrios on their hands. I also think it’s good to remember that Romero lost nearly 2 years of development due to TJ surgery. Meaning, for the sake of development and complete injury recovery/separation, he may need a little more time. There's no doubt that Romero could be special. As I mentioned, his fastballs are definitely plus pitches. Unlike Berrios however, who had a plus-plus curveball, Romero has a very good slider at times and an even more sporadic changeup (he leaves it up in the zone too much as well which would definitely be another candidate of the pitch design treatment). And Berrios' 4-seam/curveball combination tunnel much better off each other than Romero's slider does with his fastballs. Minor tweaks can make it much more of a devastating pitch. Development-wise, however, Berrios had been stretch out much more than Romero has been (part of it because of the injuries). So to build him up into a traditional starter might take more prolonged time in Rochester to develop a third pitch. It's certainly something the front office is weighing right now -- whether to go forward with Romero as is in a reduced capacity to maximize what he can contribute now or try to push him to the traditional starters role while working on it in Rochester. Whatever his role is, in my opinion, crafting that slider into the best possible pitch will only serve his best interest. I'm old school, so my first thought is you have to give him every chance to develop as a starter.With the way the game is trending, it's a fair question to ask whether he has more value coming out of the bullpen 80 times or starting 30 times.And, to be honest, I'm on the fence.He is the closest thing the organization has to that precious dominant bullpen arm. I think I would like to see him developed as a starter, though he is probably much closer to being a dominant reliever, right now. If he goes into the bullpen now, the temptation would be to use him as a multi inning super reliever. You don't get 80 appearances out that kind of reliever. The issue can be that guys like that seem to get overused. Too close of appearances, too many warm ups, etc. That could be worrisome with a guy who has had arm problems. Very good read! I too hope for some patience in seeing if the coaches can help him develop a solid 3rd pitch. A solid #2/3 is more valuable IMO that a RP. Thanks for the article. Great isolation of the hands in the video. If a pitcher is good... he should be developed for as many innings as possible. It doesn't matter to me what inning he enters the game. It doesn't matter if it's 6 innings at a time on traditional rest or 3 innings at a time with half the traditional rest. Give the bulk of the innings to pitchers who hang the zeros and stop trying to force a 5 man starting rotation with 5 plus ERA filler just to be traditional. I can see Romero being an elite set up guy now and perhaps a closer someday. None of us know what the Twins are thinking, though. Very, very interesting and the rationale for improvement is also excellent. Thanks! Amen. It’s a cookie cutter league. Moneyball was running the show after Oakland made a nice run and now it’s the young guys and their analytics. Don’t follow the trend, set it. Look at the NFL. Not every team can trot out Brady or Brees so teams have to find different ways to contend; great defense, clock control. Their aren’t enough quality starters in the league to fill out 5 spots on 30 teams. So find another way to get 1450 quality innings. So find another way to get 1450 quality innings. Yes. This is the fundamental challenge. And endurance versus peak performance (which differs from pitcher to pitcher) is a chief obstacle to easy solutions. You can't cover the innings with a staff of 1-inning max-effort guys, and you won't win with a bunch of innings eaters. And thus the dilemma with what to do with a high-end arm like Romero. And then what happens when your 7 inning pitcher can't get out of the 2nd inning or it takes 3 pitchers to get thru 1 inning. It sounds really good to have your best pitchers pitch as many innings as they can handle, but that is going to vary from appearance to appearance. That was also the philosophy of Billy Martin, Don Baylor, and Pete Rose, all of whom were famous for burning up pitchers. Maybe being flexible and creative will make pitching staffs more effective, there is an equally good chance that if you don't get it right, you will will ruin a bunch of arms. Which has largely happened before with new ideas in baseball. Organizations have always been more interested in what works, rather then looking at the long term health of their pitchers. Maybe that is changing, there is certainly lip service to that effect. Certainly, when you have a dominant arm like Romero, it is in the best interest of everybody to figure out a best usage situation that will keep him around for a long time. That type of thing might be pretty hard to figure out though. It might also mean other pitchers aren't put in their best usage situations. And then what happens when your 7 inning pitcher can't get out of the 2nd inning or it takes 3 pitchers to get thru 1 inning. It sounds really good to have your best pitchers pitch as many innings as they can handle, but that is going to vary from appearance to appearance. You know, it's funny, I actually had typed a few words about game-to-game variability, and then took them out because the thread is about Romero and this additional insight applies to any pitcher. So I weaseled with "*a* chief obstacle" and kept my post briefer. But you're right, construction of your staff needs to take into account that "no plan of battle survives first contact with the enemy." The fact that some innings are going to be higher-leverage than others, and you don't know in advance which ones they are, is also a confounding factor. Covering all the innings with quality pitching is hard. And that's why I am hesitant to lean too far in the direction away from quantity. give up on Romero as a starter after he showed promise in his first taste of the Bigs. Not having this kind of information IMO has a lot to do with the perceived underperformance of the Twins prospects over the last decade. Of course, the information is only useful if the player development personnel and the players themselves are able to use it and make adjustments. Some guys throw how they throw and trying to change how they throw can lead to unexpected consequences. Changing mechanics might make a pitch better. But it might not. You won’t know until he uses it in a game situation. Also, changing mechanics could increase risk of injury.